What Are 'Bath Salts' And Are They Illegal? What are "bath salts"? We're not talking about the cosmetic variety that you add to bath water for soaking. Rather, the term "bath salts" describes illegal designer street drugs that have been linked to violent delusions and even death. In a bizarre and gruesome example, bath salts may have driven Rudy Eugene, 31, to strip naked and eat the face of Ronald Poppo, 65, on Saturday, some police and doctors in Miami believe. Police shot and killed Eugene when he refused to stop eating Poppo's face; Poppo is in critical condition at a hospital. Bath salts were also blamed in another Florida incident in which a man overdosed on the drug and died. Similar cases nationwide have led the Drug Enforcement Agency and state lawmakers to take action. 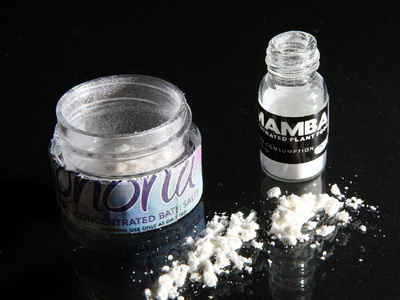 The DEA last fall banned three chemicals commonly used to make bath salts: mephedrone, MDPV, and methylone. Possession or sale of these synthetic stimulants could result in federal drug charges. In addition, at least 38 states have enacted bath-salt bans, according to the National Conference of State Legislatures. The bans spell out a wide range of penalties for possession and trafficking, and include a variety of different chemicals that can be used to make bath salts, not just the three stimulants banned by the DEA. That brings up another concern: Because bath salts are made by "street chemists," there's really no way to know what chemicals are actually contained in any given quantity of bath salts, one expert told WebMD. There's also no medical test to detect bath salts in a patient. "The only way we know if someone has taken them is if they tell you," the expert said. Despite new laws and a growing awareness of bath salts' side effects -- notably, dangerously high body temperature, extreme paranoia, and vivid hallucinations -- the use of bath salts seems to be on the rise in the United States. Poison-control centers tallied more than 6,100 bath-salt emergencies in 2011, up from just 303 in 2010, The Daily Beast reports. LoveCry is here to help STOP CHILD ABUSE and Begin the Healing Process! Abuse Issues can begin to heal the moment you realize them!